CookBook is one of the best selling themes we have released. Our aim was to create versatile & easy to use platform that would allow to create great food & drink related websites. Custom recipe posts, over 150 unique food & drink icons, possibility of adding video recipes and its versality, make CookBook one of the best theme for foodies on the market. 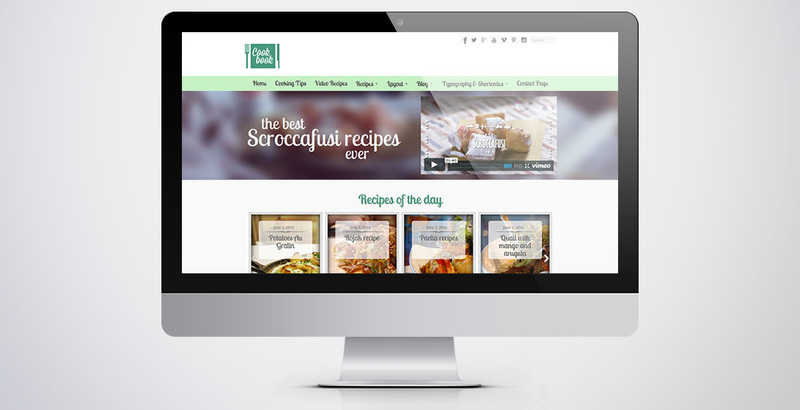 Important: You may want to check our new Food Factory - Food & Recipes WordPress theme instead. Newly released Food Factory template allows you to customize your blog / website to your personal needs and has plenty other useful features. Please read details below to find out about major features of our CookBook Food & Recipes theme for WordPress. Really simple and not complicated at all theme panel allows you to change logo, chose if you want to show Logo as an image or as a text, both or none. You can easily change background color, header color or header image. 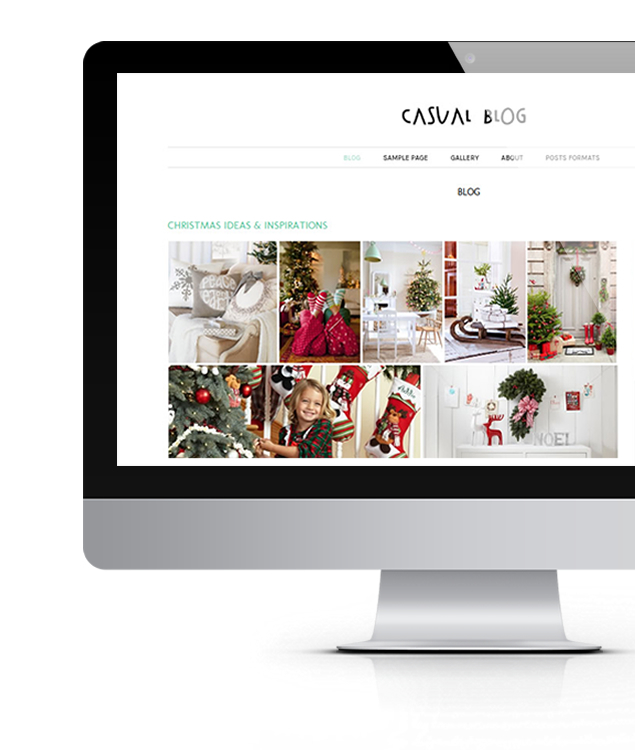 There are 2 page sizes layouts and 4 content layouts ( Right Sidebar, Left Sidebar, No Sidebar Full Width, No Sidebar with Centered Content) sets for Blog, Posts and Pages separately. Recipes and Video recipes custom posts – real power to you. You can create tiny, or really big website about food, create online cooking book, build recipe pages in no time. Recipes – the core idea of this ultimate theme are the main reason why it is worth to buy this theme. 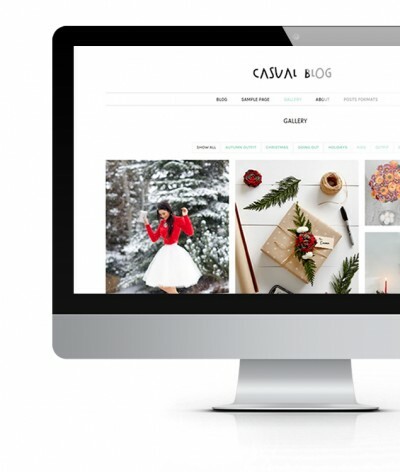 There are couple of extensions out there which you can use for building cooking or food related site, but we decide we want to create something enriched and easy to use, as well as powerful, so you are able to build really nice websites with it. So all the features are built into the theme. Unlike themes with extra plugins (not necessarily great for use) website will be easier to manage and bloat-free. Frankly speaking every function is built in so you don’t need any additional plugins. Sorting according to Ingredients, Skills Level, Courses, Cuisines, Recipe Type. To make things more interesing we have added video recipes feature to the CookBook theme. Engage your audience and get more visitors by creating video recipes, this is great method of getting extra attentions and gaining valueable traffic. Videos are embeded into the posts, so you can use YouTube, Vimeo, Daily Motion or your other favorite video platform. Tip: Recipes can be also opened in lightbox window if you like. Note: Revolution Slider and ShowBiz plugins shown on demo website are optional and they are not included in the theme package. You can use any other slider from WordPress repositories instead. Free CookBook Light version of the theme has been discontinued on 02 Mar 2015. Please purchase the premium version instead.